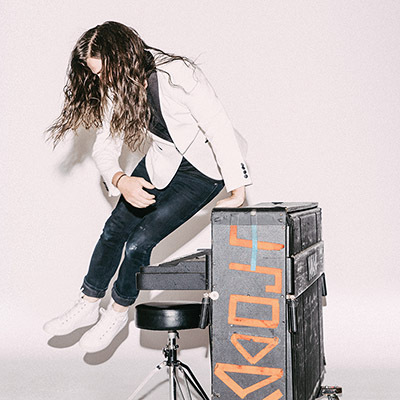 J. Roddy Walston & The Business has melded engaging, melodic songwriting with sharp observations about American culture on Destroyers of the Soft Life, their new album out NOW. Produced by studio veteran Phil Ek (Fleet Foxes, Built To Spill, Father John Misty) and mixed by M. Allen Parker (Dan Auerbach, Sheryl Crow), Destroyers of the Soft Life began two years ago when Rod Walston (lead singer / guitarist / piano), Billy Gordon (guitar), Logan Davis (bass) and Steve Colmus (drums) purchased space in a Richmond, Virigina WWII era bomb shelter turned lumber yard. The foursome gutted and subsequently spent seven months transforming it into their own recording studio. As they put down roots Walston also became a father for the first time, inspiring lyrics that take an unflinching look at family dynamics and parental motivations.